I’m exploring the possibility of incorporating blacklight puppetry into our ministry. I found a company online, www.creativemin.com, that had some very helpful resources. The first step was to purchase the blacklights themselves. I purchased two 4-foot led lights. While I was at it, I purchased several training videos and a booklet to help us get started. 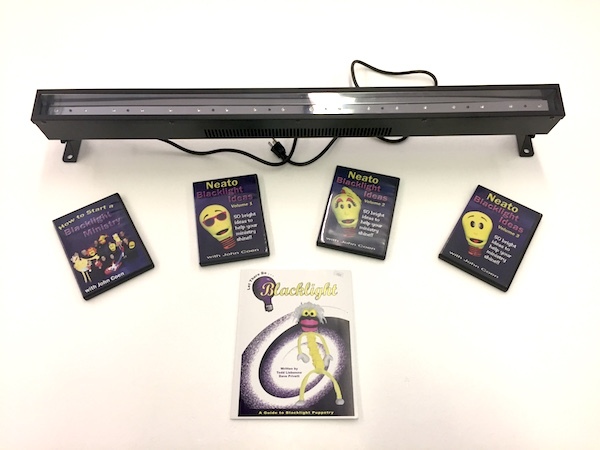 Initially, we will use the blacklights in conjunction with our sign-language class. Also, we’ll probably add a blacklight “flair” to some aspect of third grade puppet track as well.